Okeanides is a complex of 3 uniquely-designed modern, luxurious villas halfway between Rethymno and Heraklion overlooking the spectacular bays and crystal clear beaches of Bali with the most fabulous sunsets every evening. The well-chosen location is perfect for short jaunts to both the cities of Rethymno and Heraklion all year-round. Okeanides is a complex of 4 uniquely-designed modern, luxurious villas halfway between Rethymno and Heraklion overlooking the spectacular bays and crystal clear beaches of Bali with the most fabulous sunsets every evening. 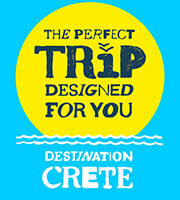 The well-chosen location is perfect for short jaunts to both the cities of Rethymno and Heraklion all year-round.